Cask Marque is sponsoring CAMRA’s Good Beer Guide 2019, due to be published on 13 September. Fully revised and updated each year to feature the very best pubs across the United Kingdom, the Good Beer Guide is completely independent, with every one of its 4,500 pub listings recommended and evaluated by people who know a thing or two about good beer – CAMRA volunteers. Cask Marque has supported the Good Beer Guide since 1990. 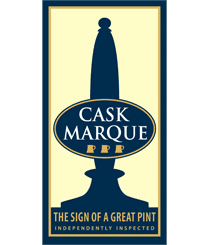 Every single listed pub that has been accredited by Cask Marque will have the unique Cask Marque symbol next to it in the Guide – a further endorsement for cask ale drinkers.